Before purple was the favorite colour of young girls, before it was the colour of nonconformists, purple was the exclusive domain of royalty. Purple dye was first seen around 1900 BC, but Phonecia was the first to designate it as the colour of kings. It remained the colour of royalty, the noble elite and the Catholic Church for thousands of years - in part because the dye was so horridly expensive to produce no one else could afford it. In 1856, the first synthetic purple dye was discovered and purple became accessible to more than just the wealthy. Deep and bright purples have always made bold statements, but there are othe members of the purple family that speak in a quieter tone. 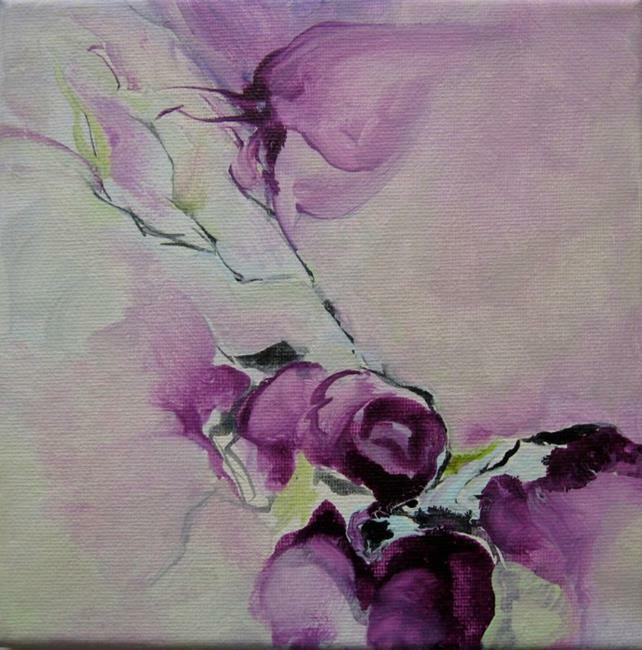 This week EBSQ's Art of the Day features the colour purple - from the soft spoken to the loud and proud.